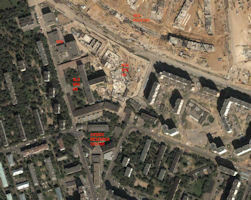 On 09 November 2006 Russian President Vladimir Putin landed on the roof of the new headquarters of the Main Intelligence Directorate of the General Staff of the Russian Army. A light, spacious building of glass and concrete, still known as the Aquarium, was, apparently, exactly what Russian military intelligence had been lacking for so many years to look good against the backdrop of colleagues at home and abroad. Otherwise, the supreme commander-in-chief Vladimir Putin, more than three years earlier, would not have ordered the construction of a new building in place of the one that, with the light hand of the writer Suvorov, in the rapidly changing world for many years was called "the aquarium". 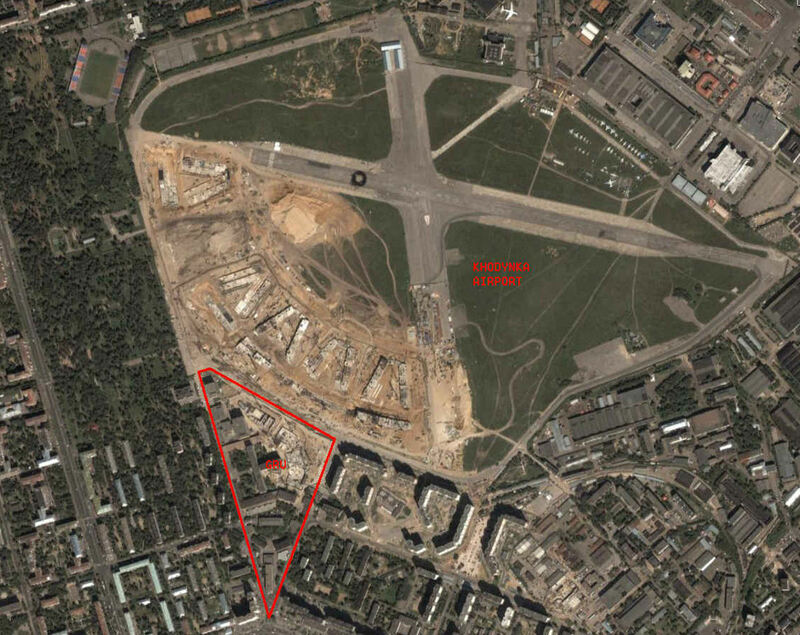 Construction of the headquarters of the GRU of the new century cost the state budget nine and a half billion rubles, mastered for three and a half years with selfless enthusiasm, before which the enthusiasm of the Komsomol buildings of the last century faded. Meanwhile, this amount can not be considered grandiose, especially when looking at the results of its development. In this complex, the windows of many corridors open onto adjacent panel high-rise buildings, where, however, by the hard recognition of the staff of the complex, there are also no random people, and the windows of the offices look only to the yard. The courtyard is an atrium with a winter garden, a frivolous fountain and a thoughtful wooden bridge through a meaningful trickle. The gym with a pool on the ground floor of the GRU headquarters is discouraging. The building carries a lot of expensive secrets. Meanwhile, the main funds were invested in the fence around the headquarters, which, in the opinion of the builders of the fence, can withstand the onslaught of the tank. Although, of course, it would be nice to take an interest in the opinion of the builders of the tank. The first new headquarters was checked by Putin. He landed on his roof in an army helicopter. The president went around, it seems, all the corners of the complex. He simply did not want to leave from here. Most of the time he spent in the shooting gallery. But for a while he stayed in the situation center. There was practically no situation that would not be studied here. 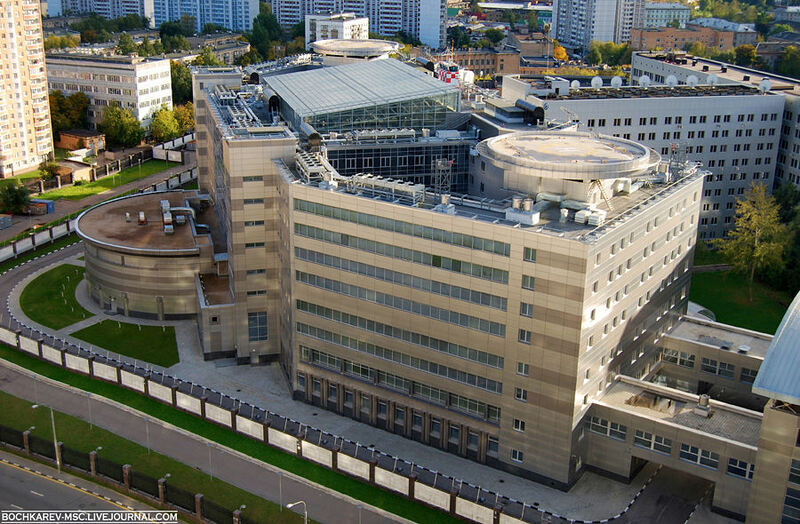 Defense Minister Sergei Ivanov, crossing the threshold of this building, said that he was at the headquarters of many intelligence services of the world and that his foreign colleagues now have every right to visit the new headquarters of the GRU "within this hall and cafe." The Minister of Defense reported that both the decoration of the building and its filling used primarily domestic materials. Half an hour before the minister, the head of the special department of the Defense Ministry Spetsstroi said that the headquarters was stuffed with unusually complex equipment, so this is probably the ideal of that "smart house", to which fashion designers of more expensive residential buildings seek in vain. For three years a large-scale parallel national project was developing at a frantic pace in almost the center of Moscow, which yesterday was presented to the president in an absolutely finished form. Putin congratulated the staff of this building on the Day of the Military Intelligence Officer, which is traditionally celebrated on November 5, and told them that they meet their professional holiday in a "unique building that fully meets the specifics and tasks of management." "This meeting today and here was planned long ago, in 2001," Mr. Putin said, "when I first visited the headquarters of the GRU as head of state. And then I already drew the attention of both the Minister of Defense and the Chief Intelligence Director to the fact that the content and form should be in a certain harmony ... And if you bear in mind that the Main Intelligence is the eyes and ears of the Russian army, and to a large extent of the whole Russian state ... then, of course, intelligence officers should work not only in decent conditions. They must work in very good conditions! "And it was difficult for us to find money for such large-scale projects," he continued, "but I believe that we did the right thing. Today it is possible to say with pride and with confidence that the Main Intelligence of the General Staff of the Russian Army is not just one of the best complexes - it is, without any exaggeration, the best and most modern, most equipped complex that intelligence agencies of any state possess. Perhaps, not one state has such a modern complex today."